The SAPD's Crime Scene Unit is on the scene at a home in the 4800 block of Chadbourne Street. Fire personnel sifted through the remains of the structure as police interviewed neighbors. 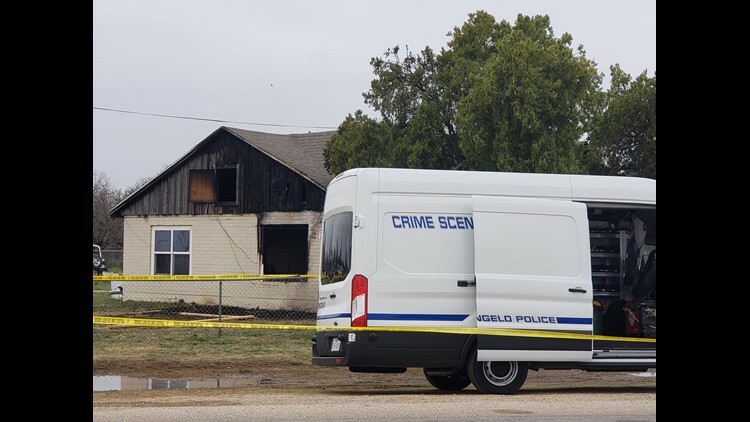 San Angelo police and the fire marshal's office are investigating a double-homicide and arson case on the city's north side. Officer Tracy Piatt-Fox said just before 3 a.m., police and fire were dispatched to the 4800 block of North Chadbourne Street for the report of a structure fire. Upon arrival, the residence was fully engulfed. After the fire suppression efforts ceased, officials located the bodies of the two men. Justice of the Peace Fred Buck responded to the scene to formally pronounce the men dead. The cause and manner of the men’s death are undetermined and their bodies were sent for autopsy. Detectives are investigating the incident as a homicide.